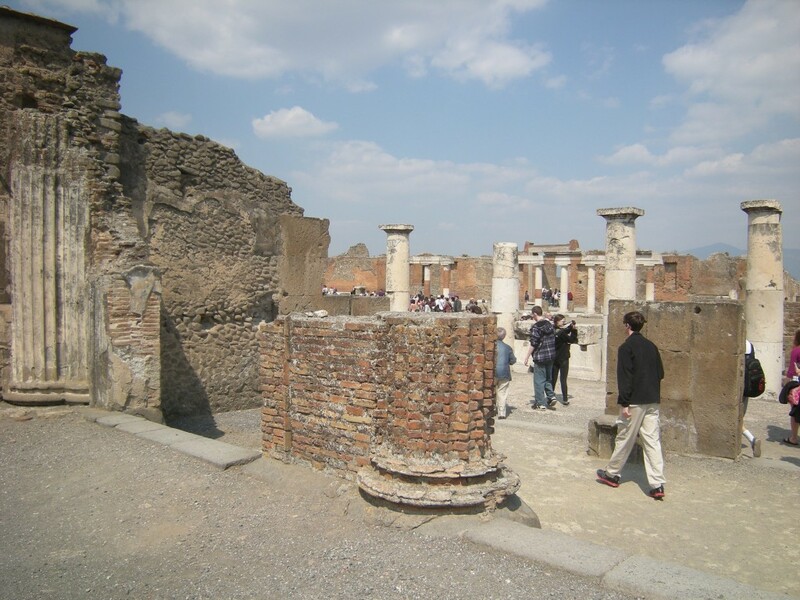 Pompeii is a partially buried Roman town which is located near Naples in Italy. 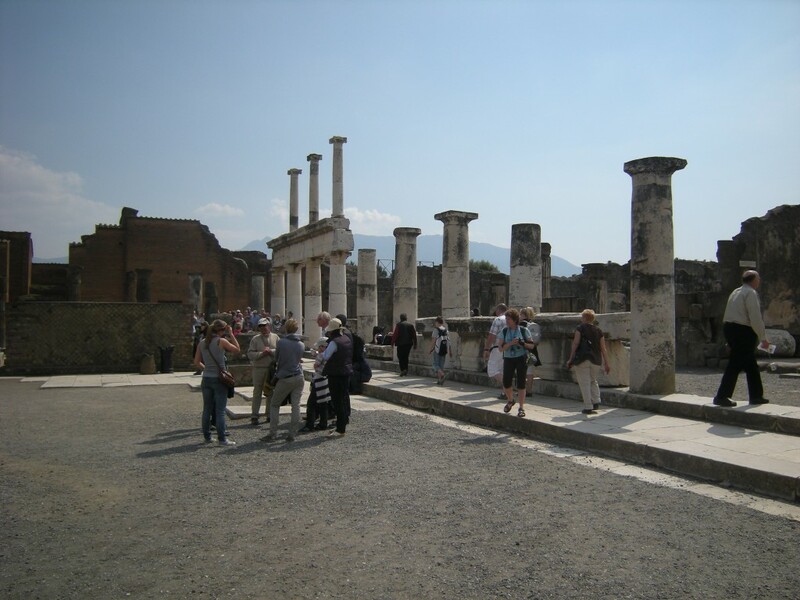 The town was destroyed and completely buried in 79 A.D. when the nearby volcano, Mount Vesuvius, erupted over a two day period. It was so deeply buried, that it wasn’t rediscovered for almost 1700 years. 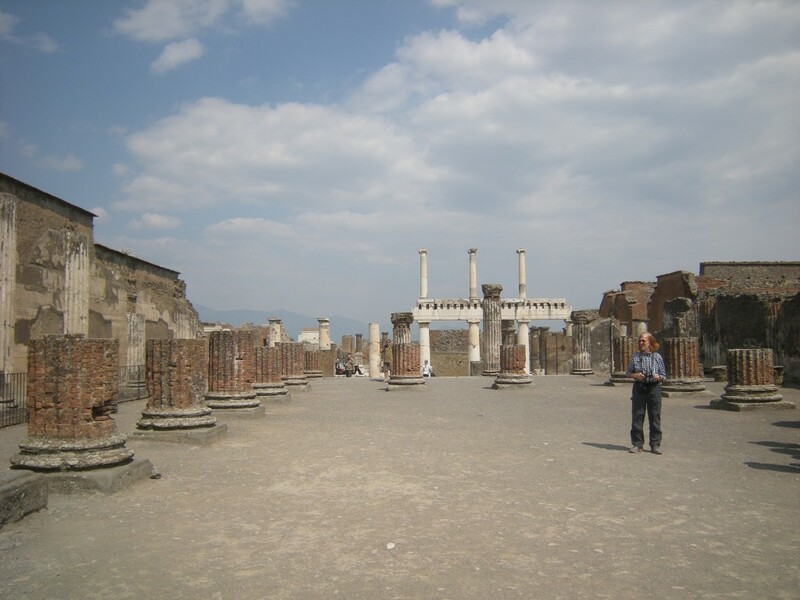 There has been ongoing excavation since that time, and a lot of insight into the day to day working of a town present during the height of the Roman Empire has been obtained from studying Pompeii. 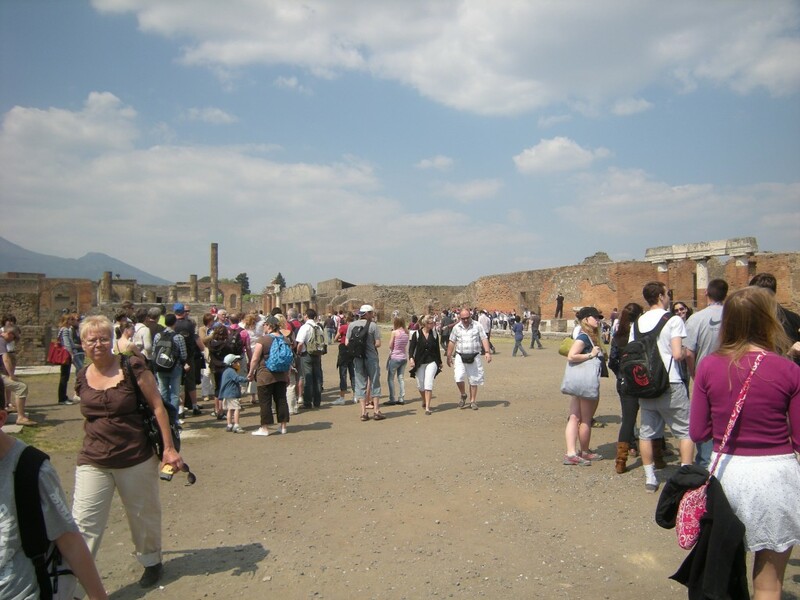 Today, there are over two and a half million visitors to Pompeii per year, making it one of the most popular tourist attractions in Italy. 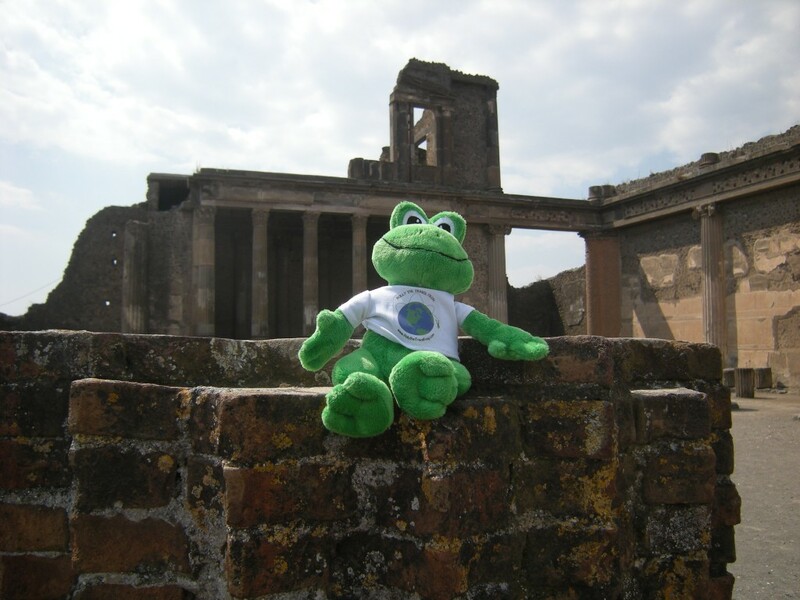 I sure hope there were no frogs buried by the volcanic eruption! 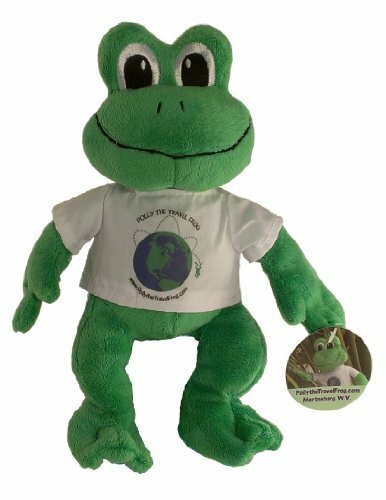 So many places to go exploring! Lots of people explore the ruins every year! 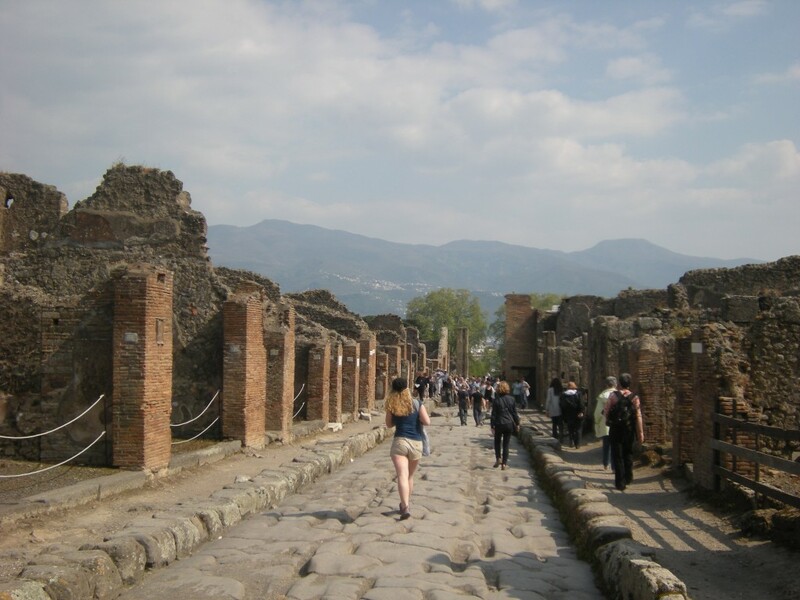 If you look carefully, you can see ruts in the road that were made from the wheels of long ago carriages that drove through the streets of the town! I could spend several days here and still not see everything! Columns were evident at many places throughout the town. 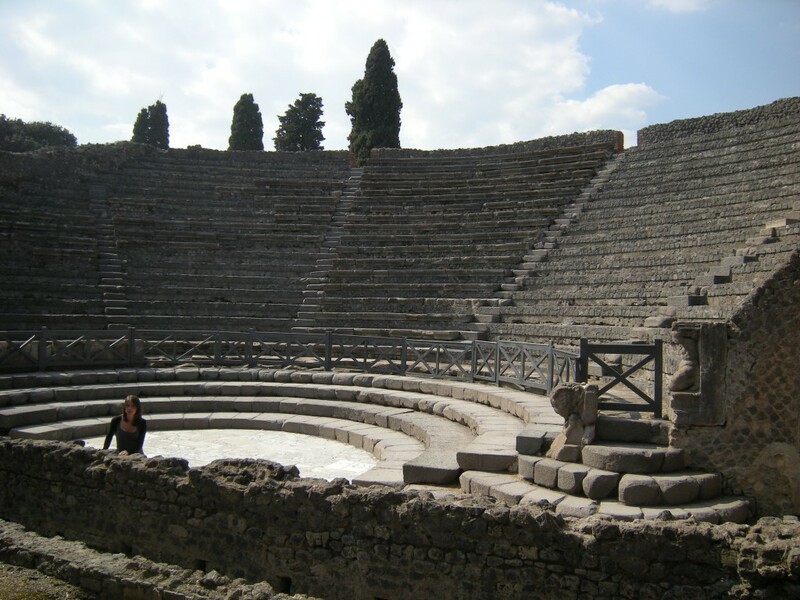 The amphitheatre in Pompeii is the oldest surviving Roman amphitheatre. 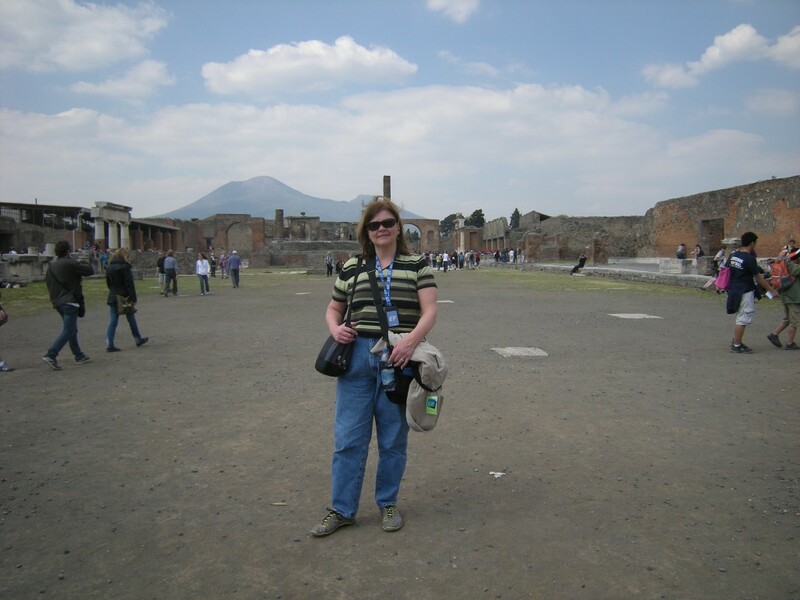 Dear Polly#2, Was it fun being at Pompeii? What foods did you eat? 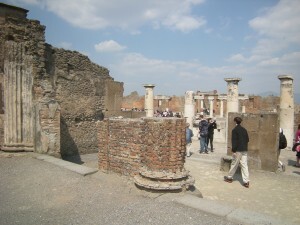 It was fun being in Pompei and seeing all the buildings and other ruins. 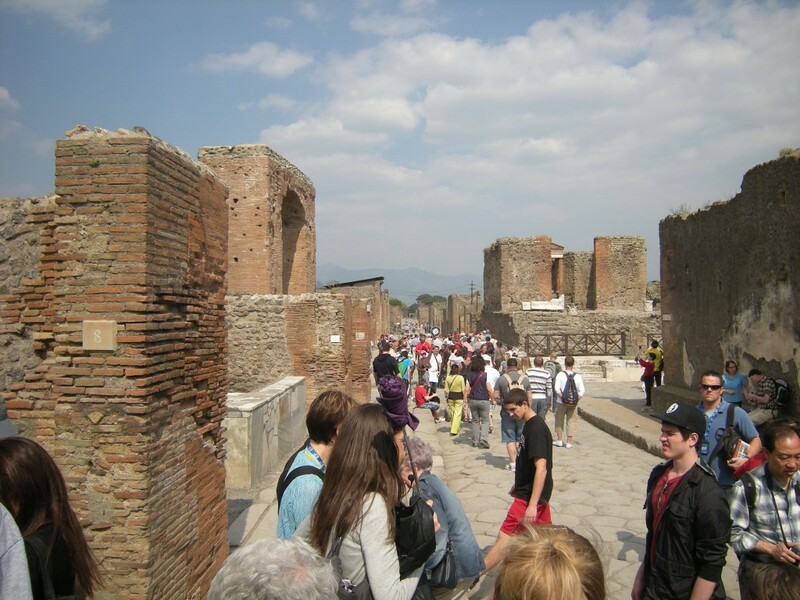 It’s hard to believe that people lived there so many years ago. Some of the foods that I ate while I was there Neopolitan pizza, gelato and lemon slushies! Yummy!